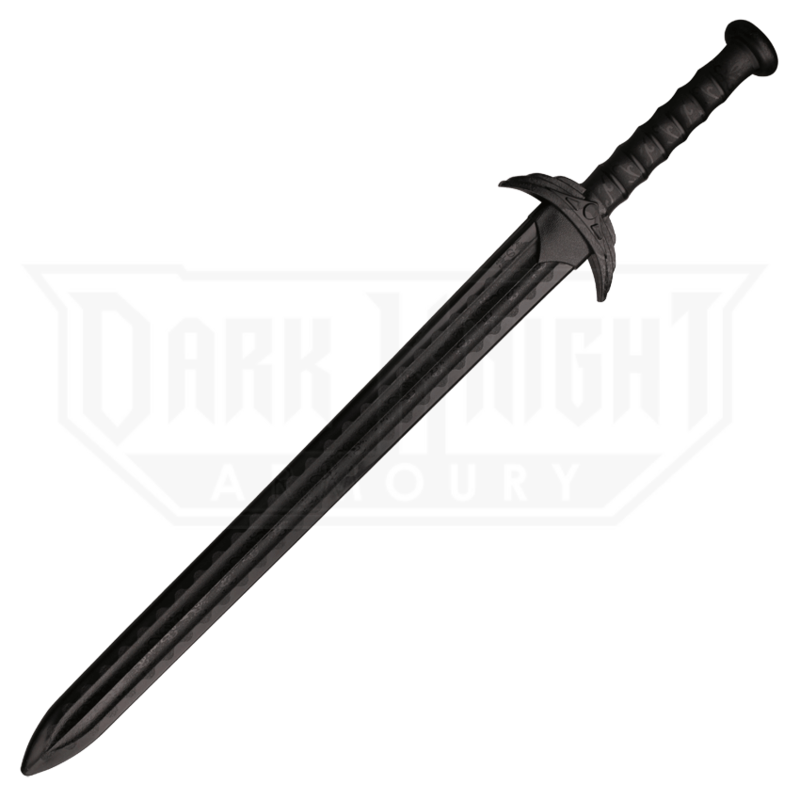 When it comes to educating yourself on swordplay and practicing its techniques, a good training sword is a must-have. 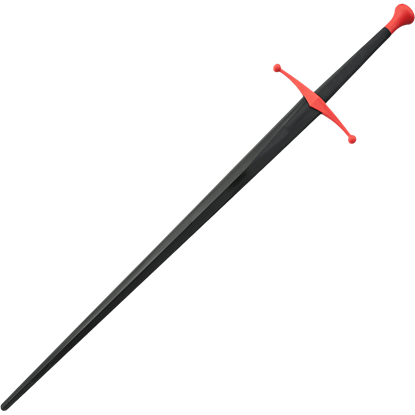 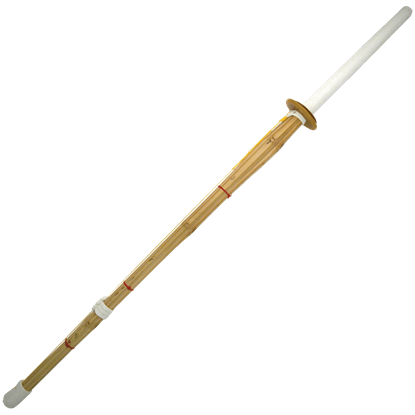 And if you are learning the ways of the medieval sword, then there is no better blade to train with than this Synthetic Broad Sword. 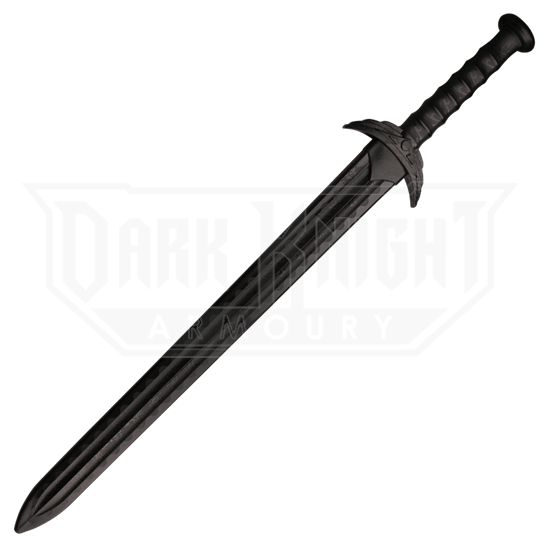 A broad sword offers the same versatility of a long sword, yet its shorter, broader blade gives it more power and control. 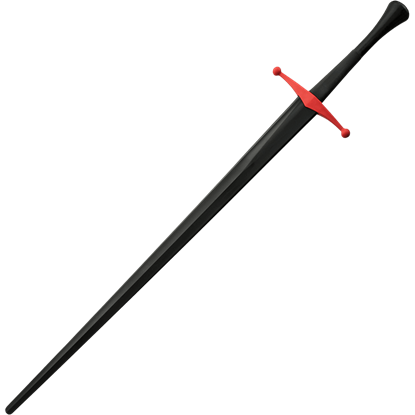 This makes the broad sword a perfect primary or secondary weapon, either for sword-and-shield training or dual-weapon combat. 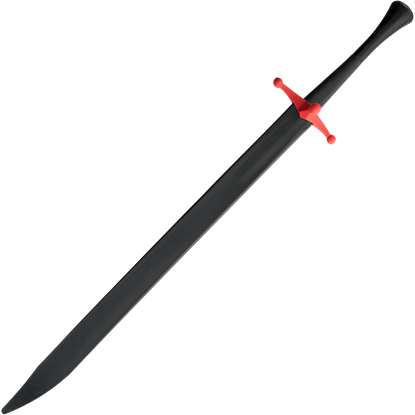 The training weapon is made entirely from polypropylene, which is a synthetic black polymer that is extremely durable and hardy. 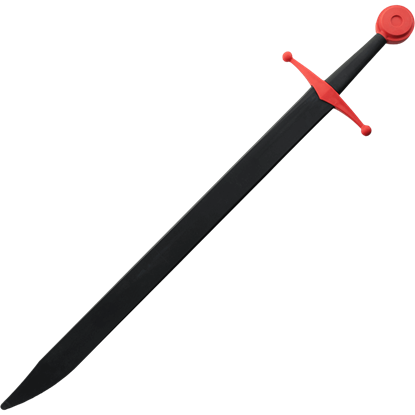 Even more impressive is that the blade has unique little touches of decoration, including a double fuller down the blade-length, a temper line on the swords faux edge, and a short guard set with little shapes for added design. 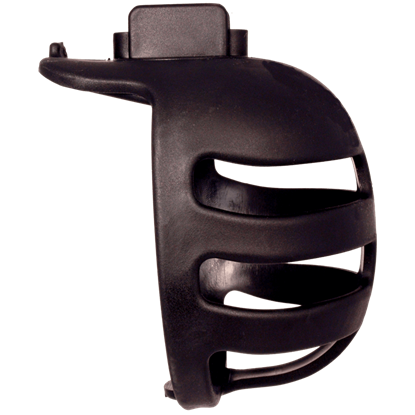 The grip is just long enough to accommodate two hands, if need-be, although it fits perfectly in one, as well. 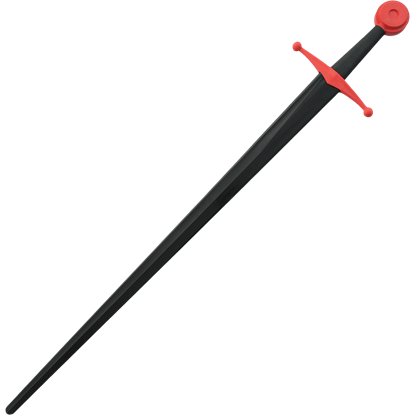 The rounded pommel helps to counterbalance the blades weight, while the grips contours make it a delight to hold and handle. 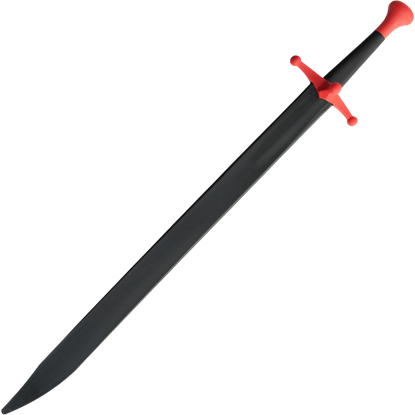 This Synthetic Broad Sword is an all-purpose trainer that is great for practicing a variety of styles of combat, ranging from old Roman techniques to established medieval methods, making it a solid choice if you plan on exploring the world of historic European martial arts.